It’s not often that you get a bike workout at the same time, in the same place as your kid does. 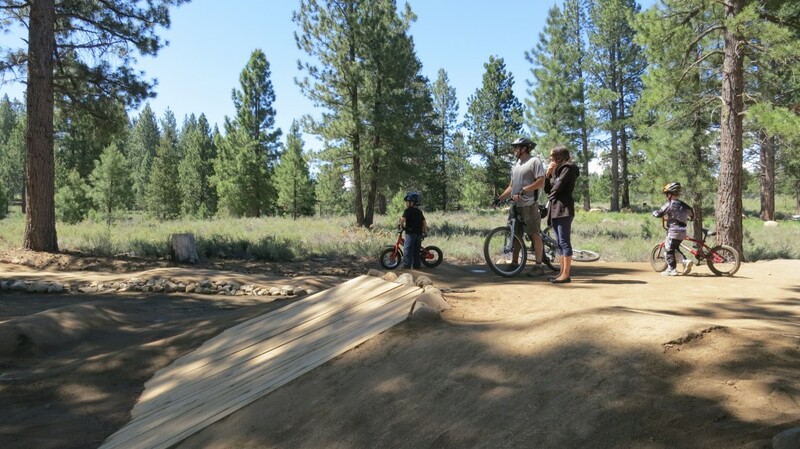 Amazingly the new Truckee Pump Track lets you do just that — you’ll get your heart going and start sweating as you pump through the bigger features, while your little one rides his push-bike or mini two-wheeler around the outer ring or on the smaller features on the other side. 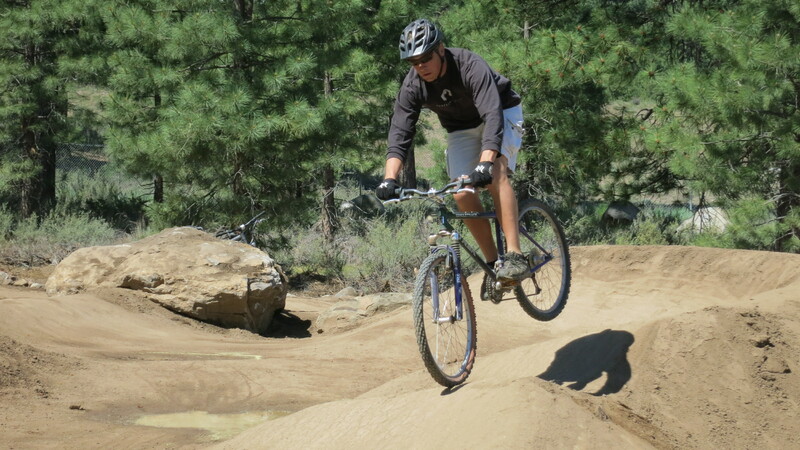 Check in on the platform and drop in again! 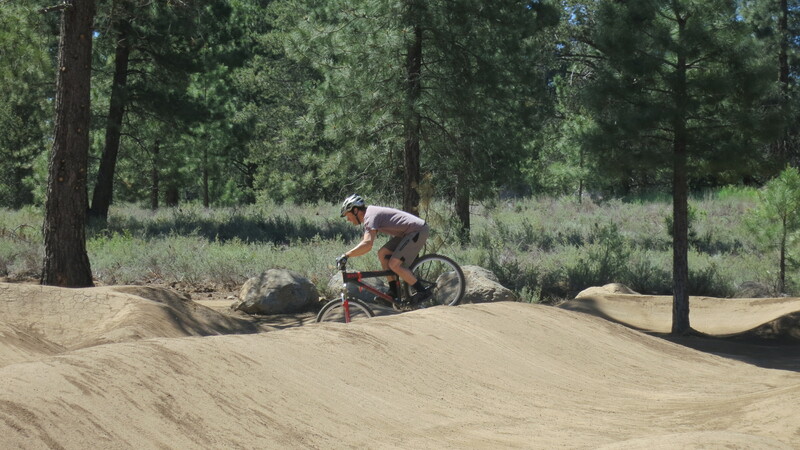 The new, professionally-designed Truckee Pump track opened on June 10th, less than a year after Brooks McMullin and Mark Featherstone got the $45,000 project approved by the Truckee Recreation and Park District and the Truckee Sanitary District. 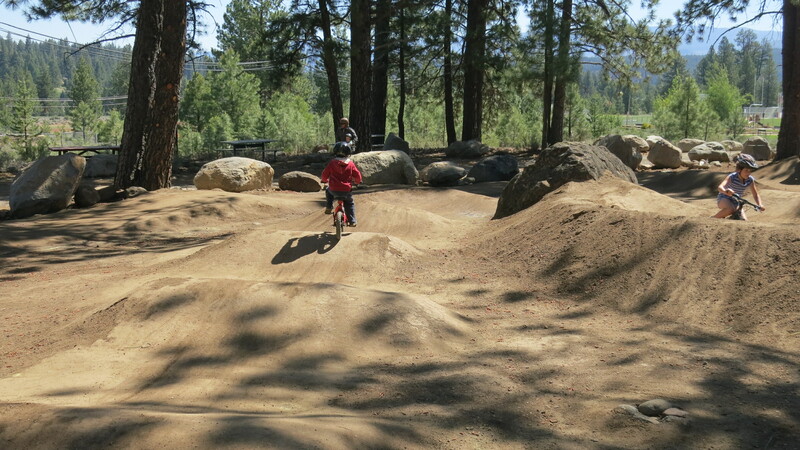 Read more about the Pump Track at Moonshine Ink. Then, go check it out for yourself. 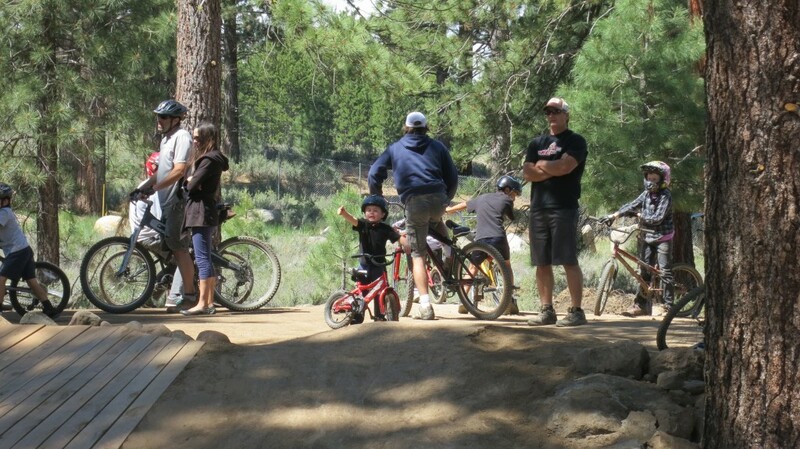 Get there early to beat the crowds and watch out for the sprinklers! A little warning alarm for them would be a nice touch….